On the 28th of Rajab 1342 Hijri, the Khilafah (Caliphate) state was destroyed, changing the course of the Muslims’ history, rather it turned it upside down. The Muslims became the subject of international conflicts, disputes and colonial rivalries after they were the decision makers of the world. Muslims became weak when they are the most honoured people. They struggle for their livelihoods yet they are the richest people, they are killed and slaughtered and displaced though they are the most precious people!! Today, 97 years after the destruction of the Khilafah, and in light of what the Muslims are subjected to from global oppression and colonial attack and betrayals; facts confirm that the liberation of Muslims is only by establishing the Khilafah on the method of Prophethood. The Khilafah will restore history to its natural course, it will restore the Muslims status and liberates their occupied land and purify Al-Aqsa and restores its dignity and status, the Khilafah will save the world and spread good for humankind. 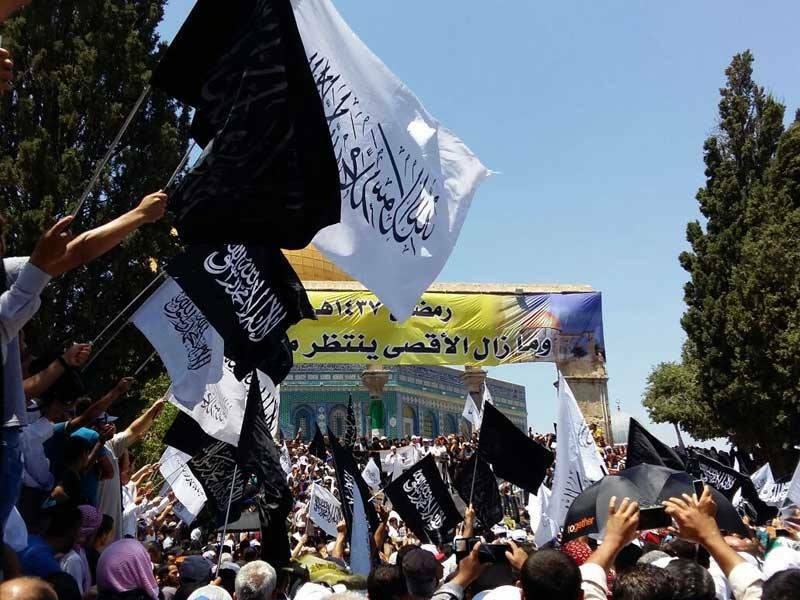 Activities and events are aimed at raising Muslim awareness on the importance of the Khilafah and its obligation, and stresses that Khilafah is the only solution to the Ummah’s political, economic and social issues, and it is the Khilafah that will liberate Al-Aqsa and save Al-Quds and restores its status. The activities and events will include public talks, delegations, distribution of leaflets, discussion stalls and live interviews with people throughout the West Bank and Gaza. The events, Allah willing, will include a conference in the northern Gaza Strip on Saturday, 14/4/2018, and will conclude with a public march in Ramallah on Saturday 21/4/2018, after Asr prayer from the Grand Al-Bireh Mosque towards Al-Manara roundabout. We call upon the people of Palestine to participate in these events, which mobilizes the Muslims in the world to work to establish the Khilafah and to support those working for it. The Khilafah is not a partisan project or for achieving benefits; it is the obligation from our Lord and is the glad-tiding of our Messenger and is the path to our glory. We also invite the media to cover these events, and show support to their Ummah and its issues.